1. 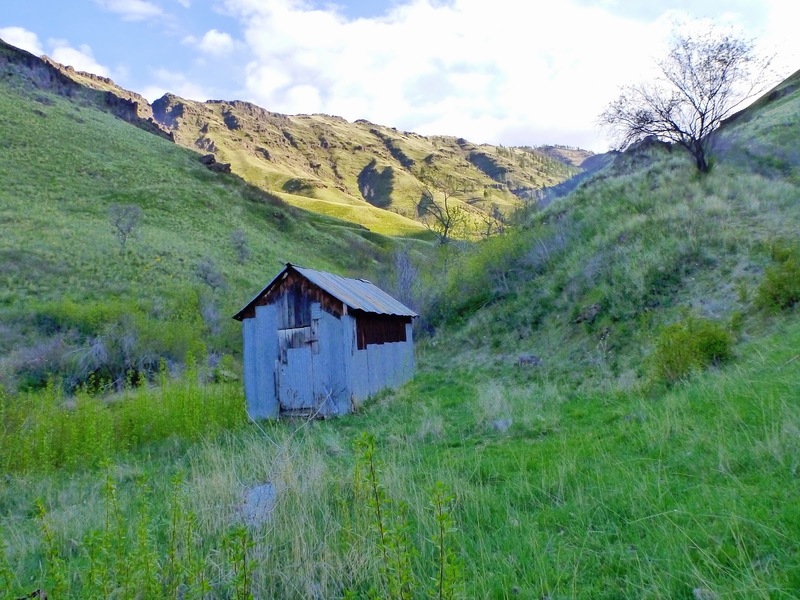 Hike below 2,000 feet in Hells Canyon. 2. Come to a creek crossing on the "trail" that must be forded. Decide that if you just walk through, your hiking shoes will be wet all day. Take the camp flip-flops from your pack and put them on. Cross creek safely. 3. Realize that it's only .3 miles to where you have to cross back. Think to self that you can walk there in flip-flops and not have to undergo the time it takes to put shoes and socks back on. Fail to realize that your decision making might be hampered by five hours of walking and little food taken in. Scan for ivy, see none. Walk. 4. Struggle through brushy thickets and downed trees. Feel uneasy, but tell self that the crossing must be pretty soon. 5. After what has to be more than .3 miles, give up. Put shoes and socks back on. 6. Five days later, realize your mistake. Seriously, these things happen to me. 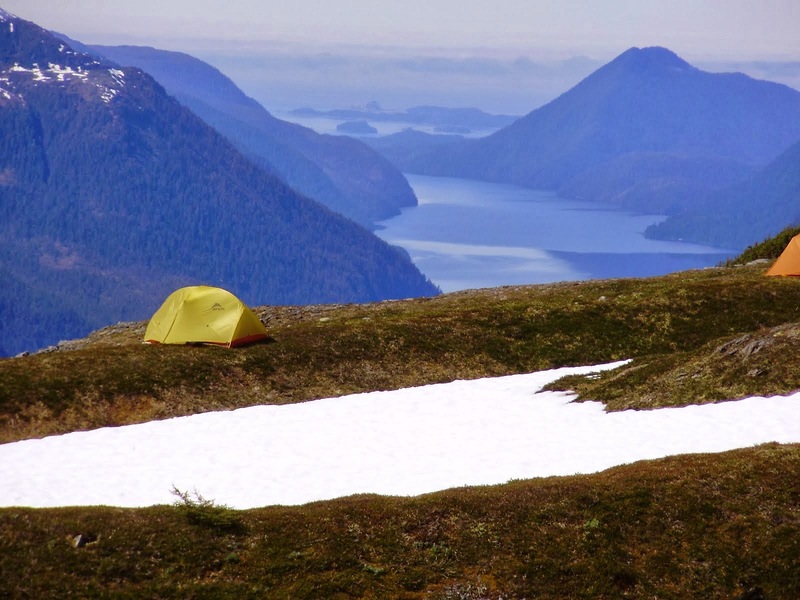 If you've been following this blog long, you've noted that I've: had a mountain lion stalk my camp; forgotten boots and had to wear sandals; forgotten a sleeping bag and had to roll up in a tarp; forgotten tent poles, stove parts and once wore two different brands of boot on each foot; dealt with trail meltdowns (sometimes not even my own); and sprayed myself with pepper spray. Poison ivy itching goes away. I think. Someday. I'll think of this trip every time I pull out my flip-flops and think about not changing back to hiking shoes. "There was this one time," I will remember. Please tell me I'm not alone. Any fiascos on your camping/paddling/ultra running trips? As I slogged up the endless switchbacks to Freezeout Saddle, I wondered why a Hells Canyon RTR isn't more popular, like the Grand Canyon's. Obviously doing an RTRTR would be challenging as you have a major roadblock, the Snake River, with no handy bridges. You would have to rely on a passing jet boat, perhaps waving beer as an incentive for them to stop (but mostly, they have their own). You don't usually encounter a "Cow Jam" on the way to the Grand Canyon Rim. But seriously. From the trailhead it's 22 miles round trip if you believe the signs, and 24 if you don't. The scenery is desolate, stark, and powerful. Though Hells does not have the layer cake rock that the Grand does, it has many more secrets. All of the times that I have dropped below the rim, I have only seen a handful of people, and often not a soul. As was the case this time. I left a chatty band of day hikers on the saddle and descended into the heart of the canyon. The steep climb just to get to the first rim might weed out the less serious, as would the lack of trail maintenance and no friendly rangers waiting with water and encouragement. You really are truly alone here. At 8.5 miles if you believe the signs, and 9.5 if you don't, I passed my potential camp for the night. A serene grove of ponderosas perched above the creek, it had always seemed like a perfect place to camp. From there a person unencumbered by a backpack could tag the river and return. Today, however, was not that day. A vicious wind whipped through the pines, and I have seen enough ponderosa carnage to know that fire-weakened trees like these can suddenly fall, crushing anything in their path. I elected to go on, thinking that surely I would find a campsite between here and the river, or at the river if all else failed. Soon it became apparent that it was the river or bust. The canyon narrowed to a sliver of its former self. I struggled through downed trees and brush. Every step was a challenge of prickly bushes and hurty trees. And I hadn't even reached the famed Poison Ivy Forest. I was down to less than an inch of water and didn't feel like fighting to the creek to get more. It was time to admit defeat. See the trail? Me either. I could see the Idaho side and knew I was less than a mile from the river. It's always so hard to turn around, and as I trudged back up the steep "trail", I second-guessed my decision. It's hard to let go of a goal, especially if there isn't someone else along to confirm that you made the right choice. Maybe if one of my partners in crime had been along, that person could have convinced me to put on rain gear and press on. Or maybe that person would have mutinied long ago. There are so few people who go below the rim; it's hard to say. In the end what I miss most about living an isolated place are "my people." I'm starting to kind of want to see a few people on these trails. I like standing with our packs on exchanging information about what's ahead and behind, where the next water is, what the ivy situation might be. I miss the same enthusiasm for adventure and wanting to go past the next bend. I want to find people willing to try a silly RTR but also willing to give it up if it becomes too stupid. If I ever move away from here, this will be why. In a little slice of heaven, a sandy beach next to the Snake River. 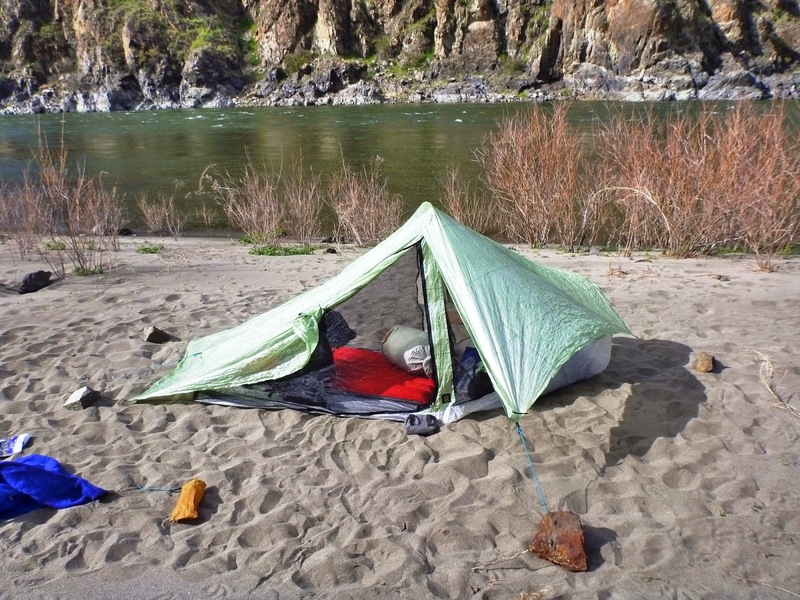 There were other backpackers, but they were nestled near the Imnaha River confluence, illegally building a campfire. 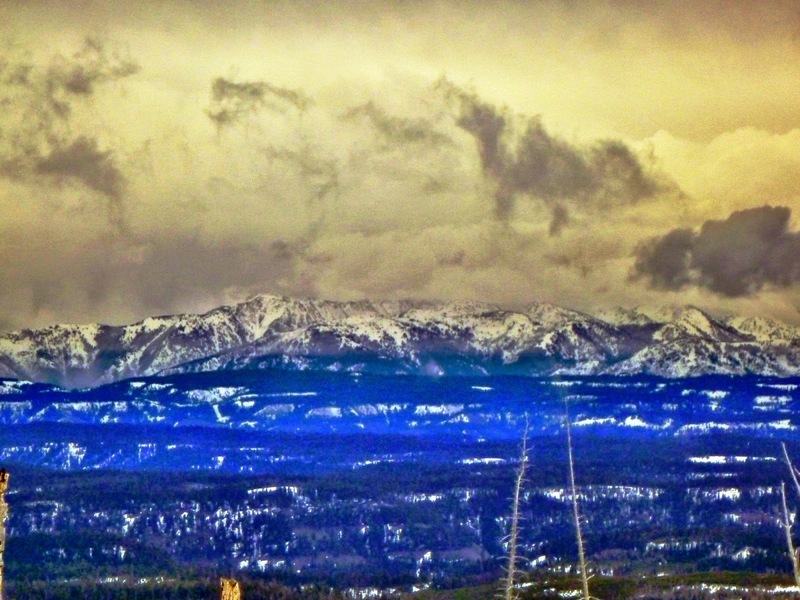 It's been a sort of cold spring, but at lower elevations it's nearly summer already. Flowers were popping out everywhere, along with the lovely poison ivy. Eureka Bar was, to sum it up, the perfect place to be. 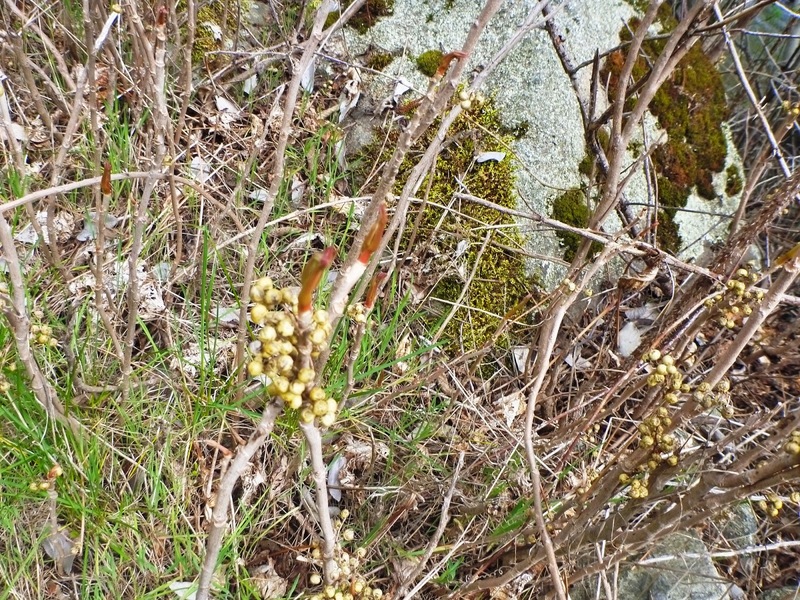 See the sticks with berries? Poison ivy, my friends. Did you know that it can look like this? Beware. Until I decided to set up the tent. This is the fourth time I have set it up, and I thought I had it down. I smugly grabbed the stakes and went to work. A good pitch in the front yard. Wind +non-freestanding tent + sand=no bueno. The stakes pulled out, the wind blew, the trekking poles fell. I finally got wise and put heavy rocks on the stakes, which helped some. Though abominably pitched, the tent was upright, so I decided to go for a stroll up Eureka Creek. The tent, just biding its time. But look at the backdrop. Tent, you are not going to get the better of me, I declared. Fiddling with the pitch was when disaster struck. The trekking poles fell, tearing small holes in the mesh. I was heartbroken. 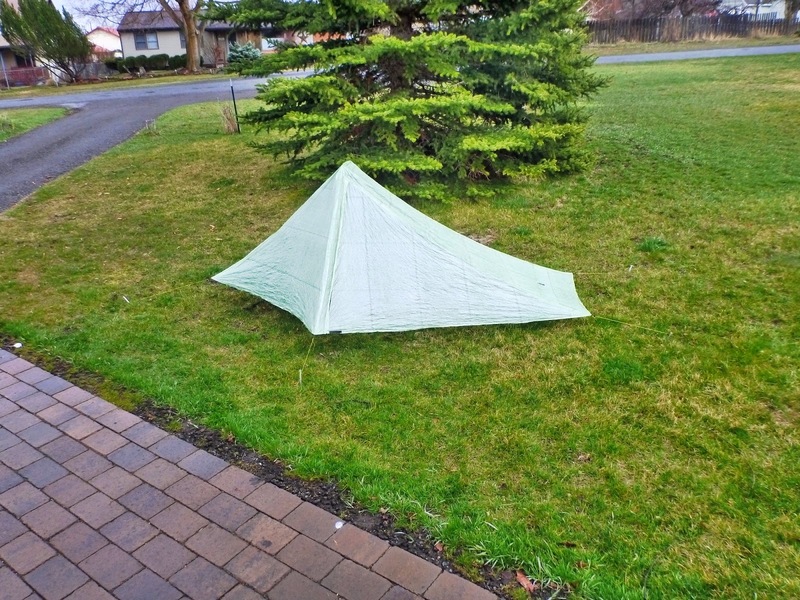 I had dropped a lot of money on this cuben fiber tent, and I had ruined it already. Let it be known, though, that I am pretty hard on gear. Two of my other tents have tears in them, not from destructive use, but from just that--use. I use my gear, a lot. Holes? Okay, I could patch those. I glanced enviously at my friend with his waterproof sleeping bag cover. It was a nice night and I could sleep under the stars too. But once you give a tent the upper hand, you never regain it. The tent was going to go up, like it or not. I was on a mission! I had to show the tent who was boss! Stake out the back. Stake out the front. Put up trekking poles. It's an awful lot of work to be ultralight. In the end, the tent meekly submitted, though I am sure it's plotting future resistance. I'm ordering sand anchors and a "Bug Mesh Patch Kit". Also, rubber tips for my poles. I have an uneasy feeling that the tent in fact has won this round. It's in its lightweight stuff sack, snickering away. It's a mixed bag, traveling for work. Sometimes I get super lucky, like the time last July when I stayed in a cute little cabin on White Pass, only steps away from the Pacific Crest Trail. Then there are the other times. Like this week. Work travel for me is challenging. I don't eat the same and I can't exercise the same. Fortunately, the casino redeemed itself by having a lap pool, and I soon fell into the routine of swimming, which I hadn't been able to do since September. (No pool in town) Swimming without a wetsuit and actually being warm was a novel experience. The woman who opened up the pool in the morning greeted me with, "Hi, Cuteness!" A man with flippers asked me if I was training for the Olympics. What's not to like about that? "Yikes! Those are wolves howling outside the door!" "Was there a Carhartt sale or something that these people couldn't pass up?" "The headline in the local paper is 'Good Hay Crop'?" We all have our place, and mine seems to have narrowed with age. I've never really been a city person, but I couldn't really tolerate it now. I like unlocked doors and neighbors who come over when you're setting up a tent in the rain to see just what the heck you're doing. I like walking down the street after dark without worrying about sketchy people. I like being able to go to the grocery store after a workout and not getting weird looks. The way I survive work travel is making sure I know where my next yogurt is coming from. Where I can get some exercise. Trying to appreciate the city I am in--sometimes failing miserably. And being glad I can drive for the required two hours from the airport, over Rattlesnake Grade, and pull into a small town where I don't know everyone, but I'm getting pretty close. Do you travel for work? Is it fun or an exercise in survival? 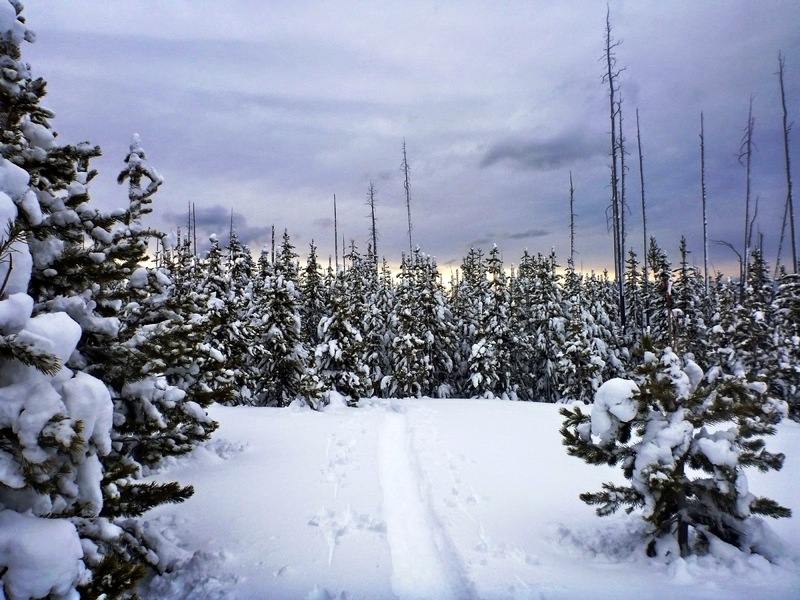 As I slogged upwards, my snowshoes sinking deep into over a foot of new, unconsolidated snow, I felt an uncharacteristic tiredness. A longing to be on the couch, eating Juanita's tortilla chips. Anything, as long as it did not involve a slog with a backpack. My run the day before ranked way up there in the realm of awfulness, and this was not going well either. "Why do we do this?" I whined. J, on skis, beamed. "Because it's fun." I was reminded of my marathon training days, when my running partners and I embarked on a 22 mile run, starting from Whale Park to the fish hatchery gate, then doubling back past the park and all the way to the other end of the road at Starrigavan. The first four miles were always awful, something we had to slog past until it became, if not effortless, something we were meant to do, could always do, for hours and hours. 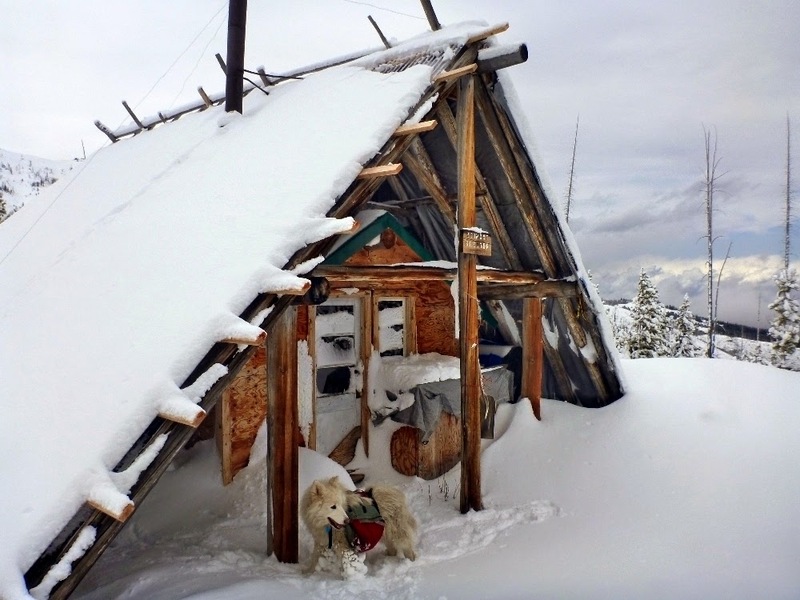 We headed for the hut, marveling at how much snow there still was, this late in March. Later, J dug a pit and showed me how dangerously unstable the snow was. We wore our avalanche beacons and carefully moved higher, leaving spaces between us and staying on the safer terrain. There's a delicate balance in the slog. You don't want to redline it on a slog. 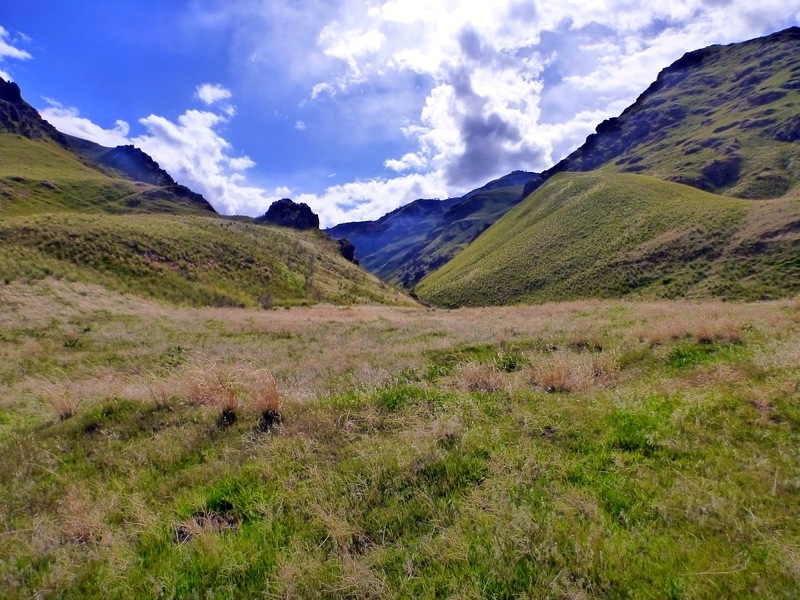 We saw it last week in Hells Canyon, where an enthusiastic group of kids bounded out of the campsite at the same time we did. We stepped aside on the climb to let them pass, only to have them stop breathless on the first switchback. You don't run a marathon the same way as a 5K; you don't hike in deep snow the same way you do on bare ground. In a slog there is nothing to prove but longevity. This was night #8 spent in the backcountry this year. It seems like a paltry number. Does a hut count? Yes it does, especially if you carry your stuff on your back and have to shovel out the toilet. In the end, it was worth it, as slogs usually are. At night there were no lights to be seen. We were way, way back there, surrounded by deep snow and dreaming trees. I didn't want to leave. Even for the couch and Juanita's tortilla chips.